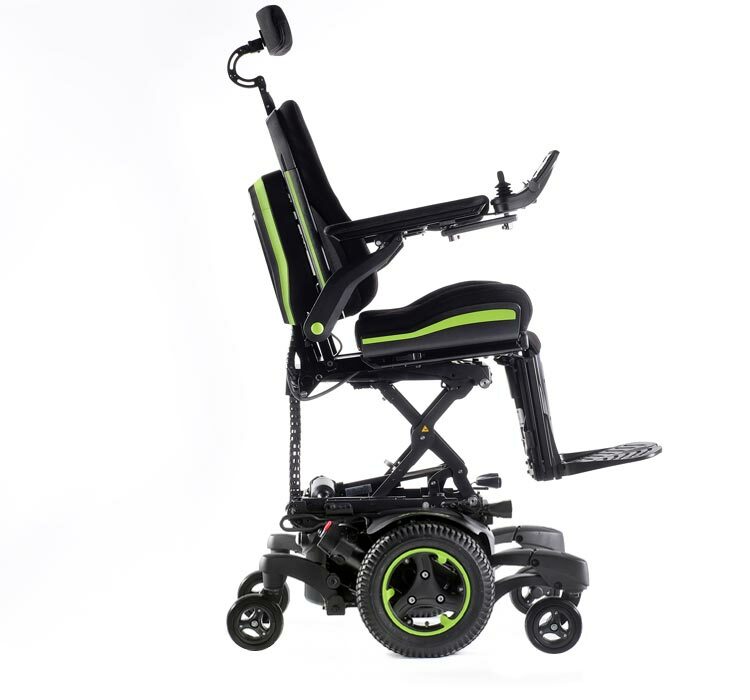 The Quickie Jive M2 Sedeo Ergo is designed to meet the unique mobility requirements of users with complex seating and mobility needs. 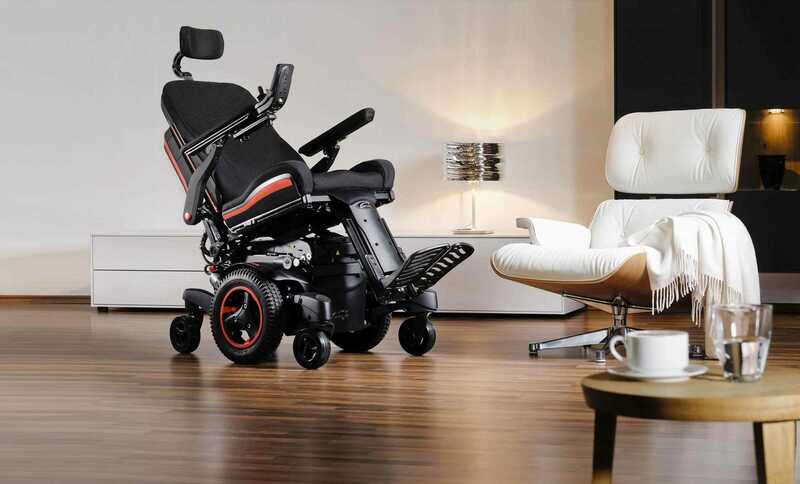 Combined with a new and innovative control system, the Quickie Sedeo Ergo features multiple discreet actuators capable of transforming to the chair into a series of pre-set positions. 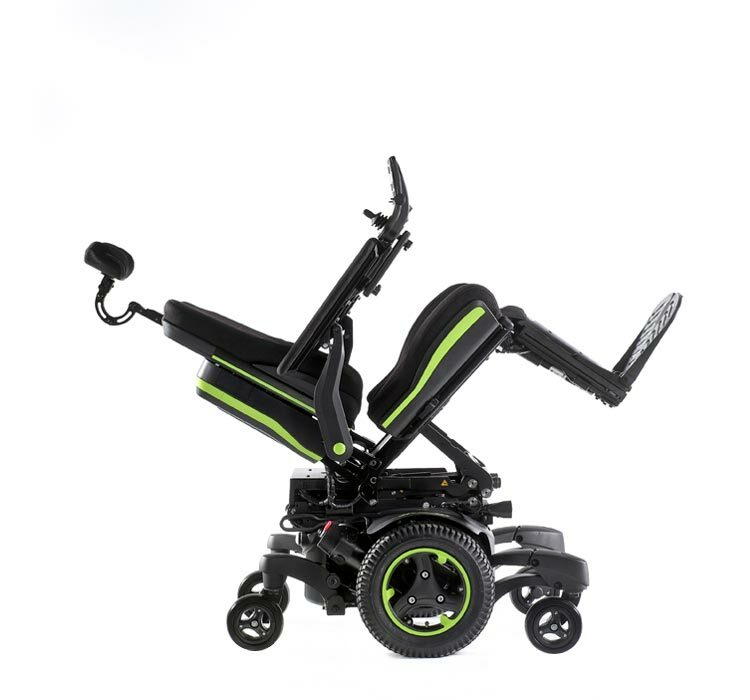 With the press of a button the Quicke Jive M2 Sedeo Ergo can automatically transform from one position to another. 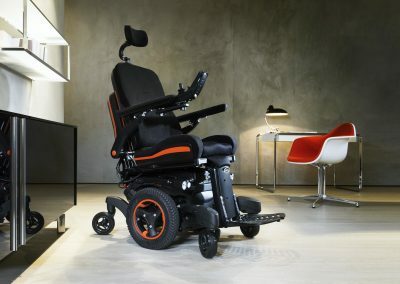 Furthermore the exact end position can be tailored to each user to match their range of movements. 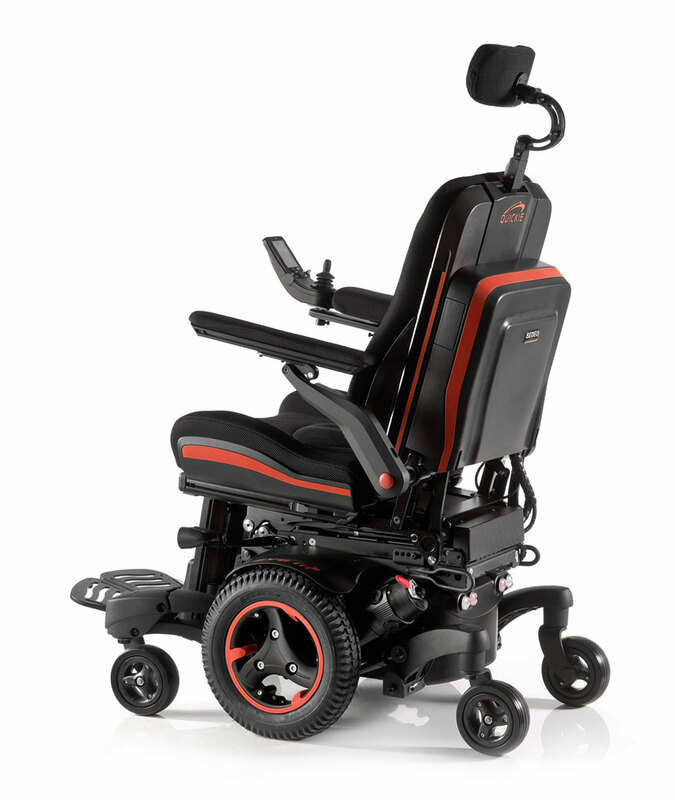 The seating arrangement of the Jive M2 Sedeo Ergo is like no other on the market; all thanks to it’s market leading biometric repositioning system. When you move from a full lying-down/recline position up to seated position, the seating system on the Sedeo Ergo will adapt through an arbitrary tilting position. 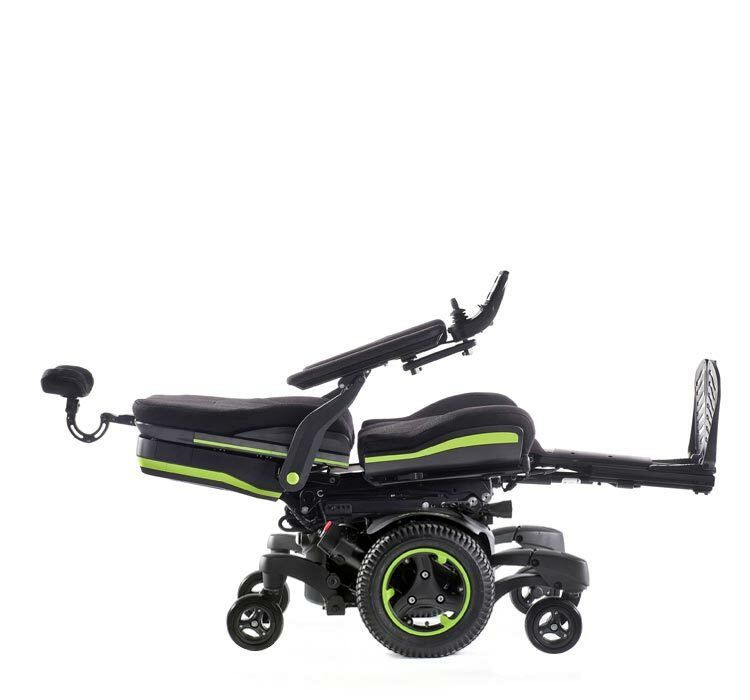 This keeps the body positioned against the seating system at all times, reducing the risk of shear and sliding during de-recline. 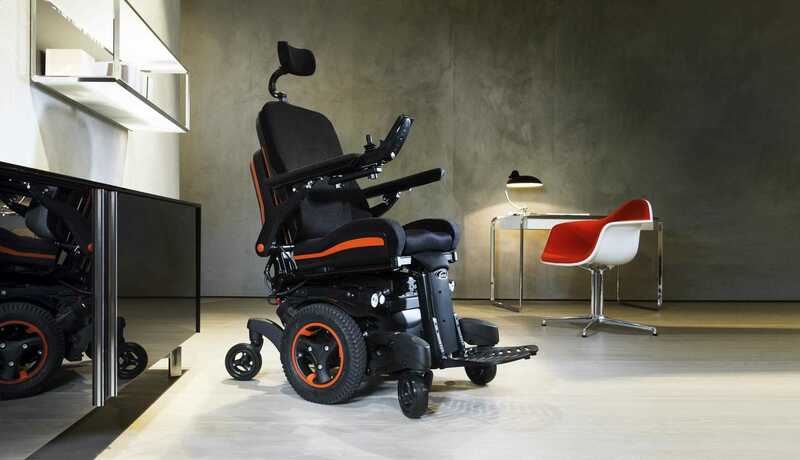 The 175° power recline of the JIVE M² Sedeo Ergo backrest is supported by an 180 mm adaptive anti-shear function. Its patented unique mechanism allows the headrest, head and even chin control to stay in place during the full recline operation. 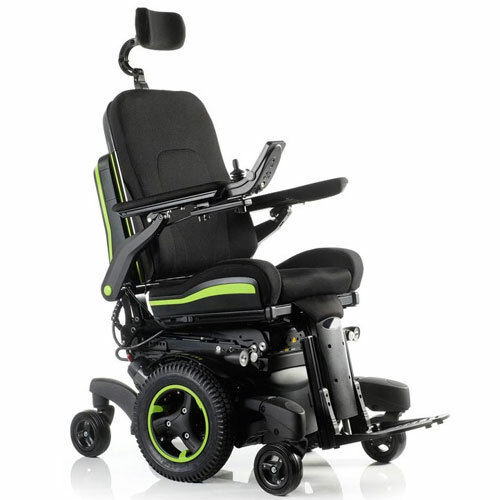 The power backrest feature of the Quickie Jive M2 Sedeo Ergo is capable of a 175 degree recline and is supported by an impressive 180mm adapting anti-shear function. The marketing leading patented anti-shear mechanism allows the headrest, head and even a chin-control to stay in place during the full recline operation. This beautiful and stylish chair looks brilliant from every angle. 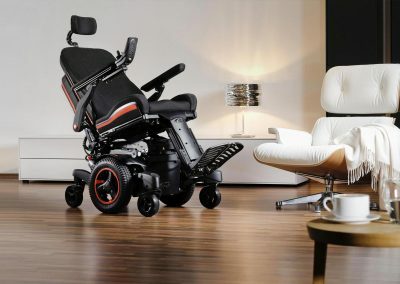 With a choice of interchangeable vibrant accent colours, premium quality tailored upholstery, and minimalistic design, the Quickie Jive M2 Sedeo Ergo will turn heads and will never fail to catch the eye. The Quickie Jive M2 Sedeo Ergo is the product of countless hours of R&D, market research and user testing. 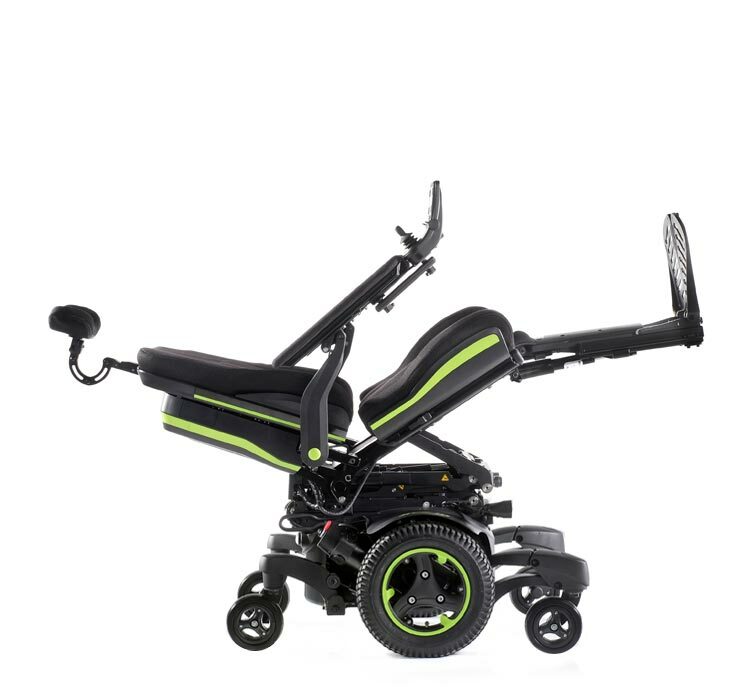 With inspiration taken from the ever-popular Jive M series, the Sedeo Ergo provides the very best in powerchair handling and stability. 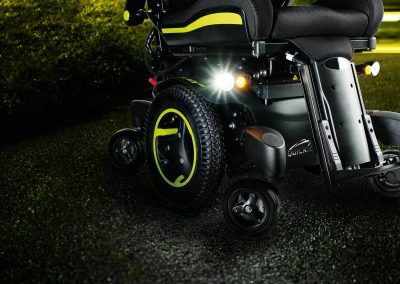 With the capability of turning on it’s own axis, it’s a unique powerchair with an ultra-small, ultra-tight turning circle, making it excellent for indoor manoeuvrability. Taking it outdoors? 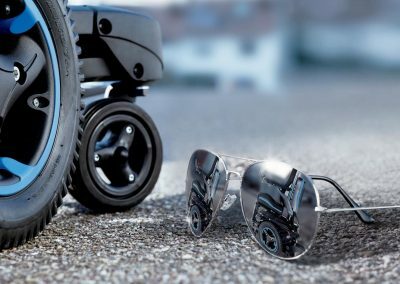 With the advanced SpiderTrac 2.0 Suspension, you can expect a smooth ride even on rough and uneven terrain. 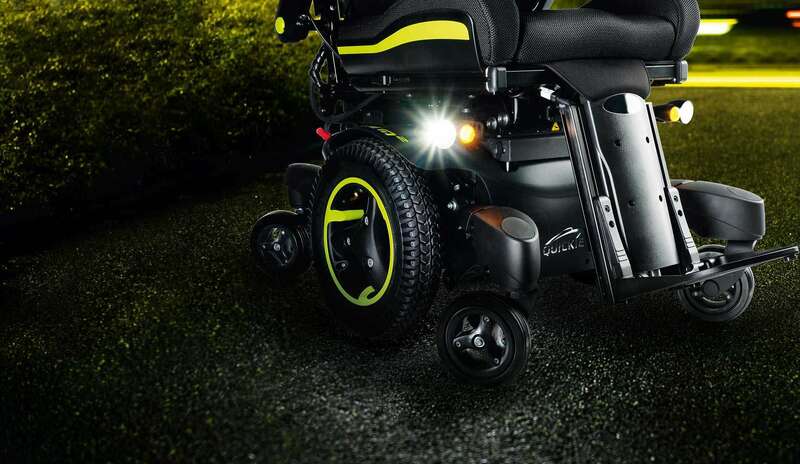 Furthermore, the SpiderTrac 2.0 removes the worry of forward pitching – even when you attempt to descend a 10cm curb. 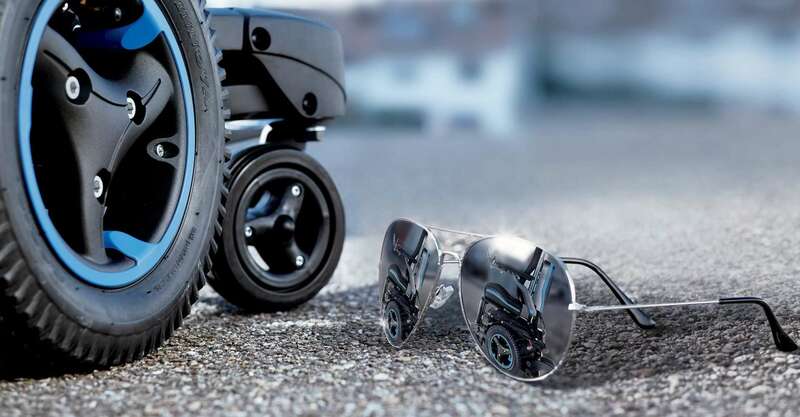 As added protection, the optional gyro tracking system can automatically detect and correct small deviations from your path – enabling a safer, less demanding drive each and every time. 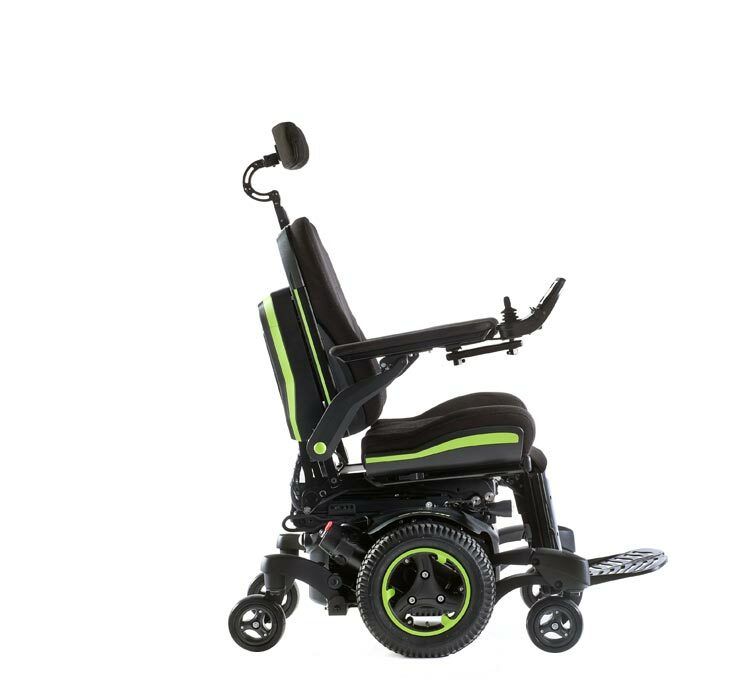 If you’re interested in the Quickie Jive M2 then please fill out this form and a local specialist with get in contact with you shortly.